At Larf Roller Shutters, we are a family owned business that is committed to providing roller shutters at affordable prices. Over the years, we have built a solid reputation for supplying Melbourne residents with the best quality and Australian-made electric, battery, manual-operated and solar powered window roller shutters. We pride ourselves on delivering exceptional and honest customer service – so that our customers receive the best product for their needs. Our quality external shutters are designed to make your home cooler in summer and warmer in winter, while increasing the security and privacy for your home. We custom design and supply any residential and commercial window roller shutters to suit any budget, as well as offering repairs and service on all our external shutters. If you want an ideal way to provide added security and protection from harsh weather conditions, there is nothing better than roller shutters. As Melbourne’s most trusted shutter experts, our experienced professionals can advise you on the many benefits that roller shutters offer. Unlike blinds and curtains that only partially shade your home, shutters restrict heat energy from reaching your windows. Our roller shutters are made from the most durable and highest quality aluminium, which provides protection from the glaring Australian sun in summer and added insulation for cold winter nights. 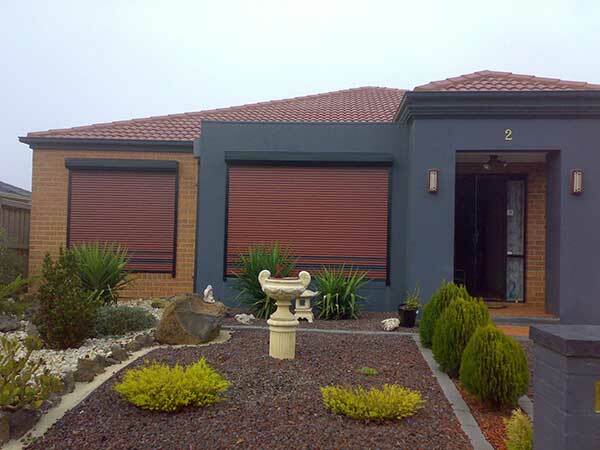 For the best roller shutters in Melbourne, Larf Roller Shutters has you covered! At Larf we also specialise in electric roller shutters to make things that much easier for you to operate. These motorised roller shutters allow you to open or close the shutters with the push of a button on the supplied remote to help insulate and protect your property. Our qualified electrician will install your electric motorised shutters with expert care and precision, ensuring the highest level of protection for your home or business. Whether you’re looking primarily for security or climate control (or even both), a qualified Larf representative will attentively speak to you over the phone or visit your site and work out the best solution for your needs. Our motorised systems come with a warranty and we also supply any ongoing servicing or repairs needed, so you won’t need to deal with 3rd parties down the track. 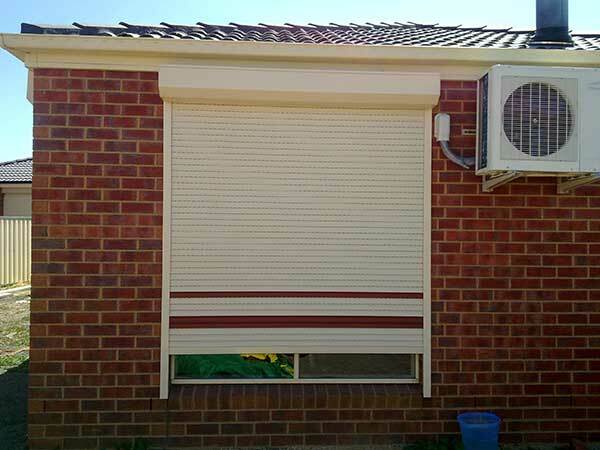 Privacy, noise control, and ongoing energy bill savings…you can’t go wrong with electric roller shutters in greater Melbourne. If you want an environmentally conscious way to shade your windows, external shutters are the perfect option. Apart from weather protection, external shutters can also greatly decrease your overall energy consumption. External shutters have the capability to reduce the temperature of the glass on your windows by 4 degrees Celsius, and as a result, this decreases your cooling costs over the summer period – allowing you to extra save money! As an added benefit, external shutters can also help to keep your home warm in winter, enabling you to save about 40% on your energy bill and reduce your environmental footprint. When you choose to invest in aluminum roller shutters from Larf Roller Shutters, you will be guaranteed a highly resilient shutter that will last a long time. Aluminium roller shutters are the perfect solution if you want further privacy for your family. Where ever you live in Melbourne, any home can use additional security. Aluminium roller shutters are the superior shade solutions for securing your home from potential intruders. With quality aluminum roller shutters you can rest assure that your family will be well protected. Are you ready to enhance your home with roller shutters? Call us today!